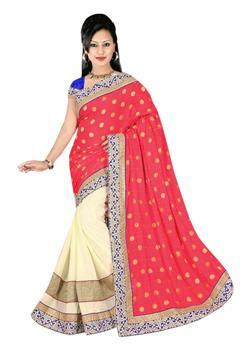 Flaunting Beige & red full net lahenga choli embellished with rich zari thread work. It gives you most simple yet catchy look at any event. It comes in unstitched format. 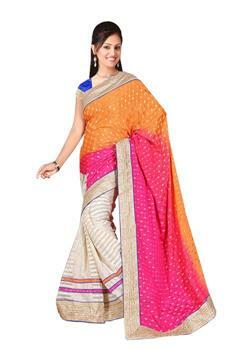 It is paired with matching unstitched blouse that is also having rich zari thread, embroidery, resham work. 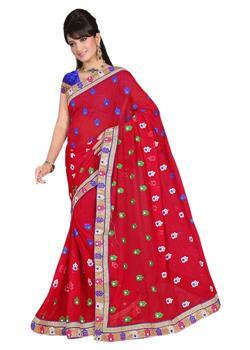 The red pure net dupatta looks great with it.